Is it true? Yes, big companies are abandoning their blogs, probably because the ROI is difficult to calculate and shareholders complain too much. No, blogging is no more extinct than the last time it was declared a dead donkey. Hasn’t social media marketing taken over? Forget it. Social media is for fun, not solving urgent needs. Blogging wins the conversion battle every time. A business blog is still the most efficient way for a small company to generate prospects and then to convert them into buyers. Blogging is good for search results in many ways. Each new blog post means that you have another indexed page on Google’s computers. The more text you have on your site, the more likely it is that Google will judge it as a good match for a given search query and this will improve your SEO footprint. Google also takes more notice of recent website posts than ones from the golden age of steam. Frequently updated blog posts are the best way to achieve better search engine results pages (SERPS). Ranking higher in Google is more than just a vanity metric. If you rank higher, you get more clicks, more traffic, and more leads. 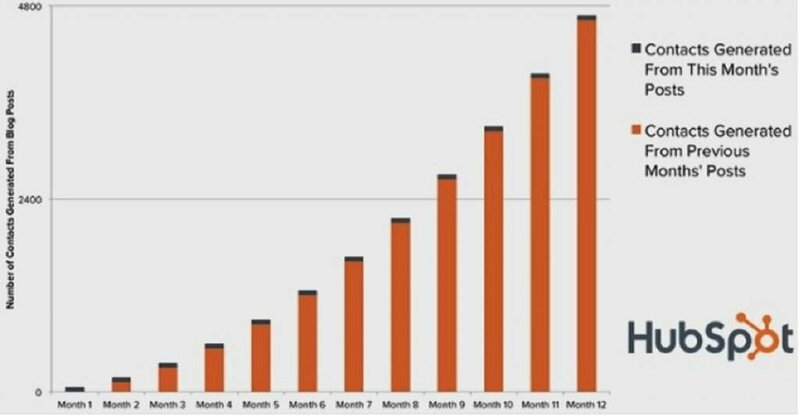 The chart above is from a Hubspot report that you can download for free. 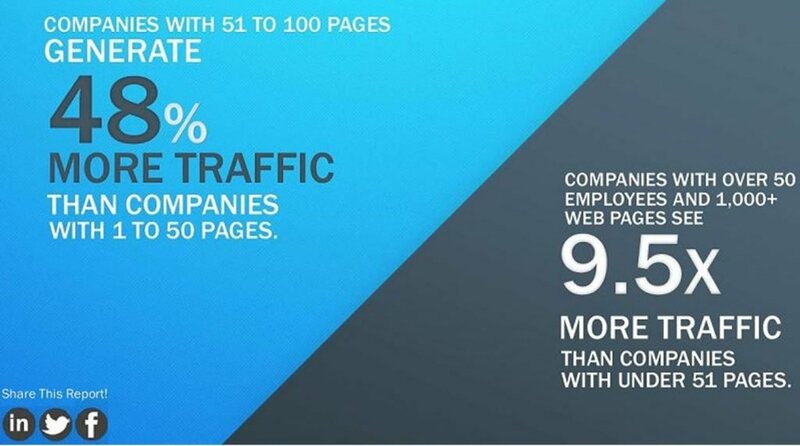 It shows that sites with more pages get more traffic. A blog is the best way to grow your site gradually and naturally. A blog post is a magnet that keeps on pulling, forever. This Hubspot chart shows this magnetic effect. Every post you write adds to the overall lead-attracting power that your blog has. Your old posts will still rank in search engines and bring in new leads 12 months down the line. This Forbes post gives various ways to increase your reputation. The one that stands out is “Go out of your way to help others reach their goals.” This is how your blog helps your rep.
People read your blog for what they get out of it. If you are writing to help people, then they will have more regard for you and will be more likely to buy your services than those of a less helpful competitor. Some companies spend millions building a brand that is instantly recognizable in an attempt to link brand and reputation. Blogging is not free because of the time and resources you need to do it well, but it is a lower cost option than social media and television advertising campaigns. You don’t need to establish your brand/reputation with everyone on the entire planet who breathes. You only need to reach your niche consumers, and that can be done for less than you think by blogging. If someone subscribes to receive your emails, then that person is interested in your services. The act of subscribing filters out the time-wasters from those who are serious. Having a helpful blog is the best way to encourage prospects to subscribe to your emails. Nobody buys from someone they don’t trust. To build trust, you need to build a relationship with each client. Building trust takes time and many marketing ‘touches’. Buyers need to feel they know you and like you before they eventually trust you. Blog subscribers will see your focus on fixing problems that they and other readers have. Their respect for you will grow, especially when they see you responding to comments on your blog posts. You may well be short of time, but your business needs a blog. 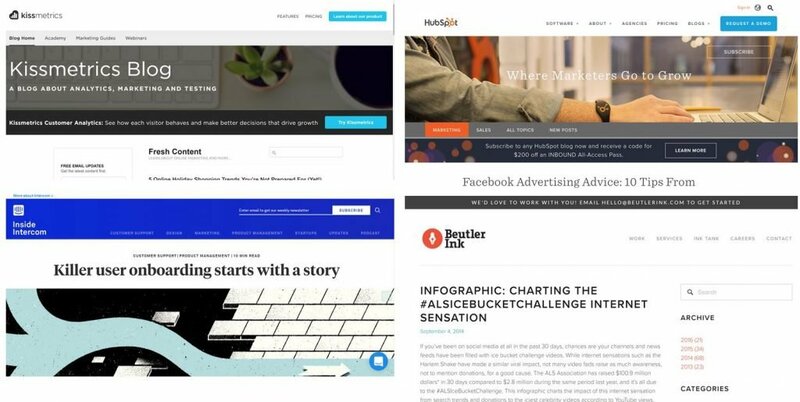 This Conversion-Uplift post describes how a blog and social media campaigns can work together. You need to use both channels, just like you need nuts as well as bolts to build anything from a construction kit. You don’t have the time? According to this guru you can build a blog in 47 minutes. This post gives you screenshots and the exact process you need to replicate Neil’s building process. The time to make new posts to your blog is significant, but so are the leads that it will bring. Another screenshot from Hubspot’s free and downloadable Marketing Benchmarks Report makes the point very well. 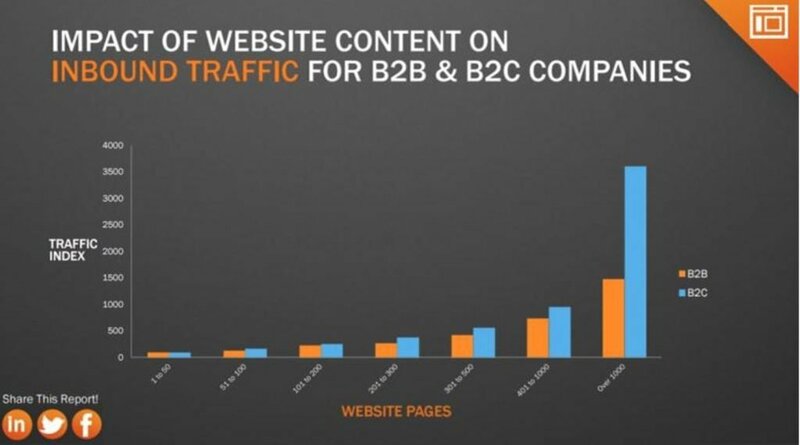 The more pages on your blog, the more business leads you will get. Thank you for reading this post and if you found it useful please share using the social media icons on the page.